Can you hear wedding bells? Or is that just the clanging sound of the cash register? Everyone knows weddings have become very expensive—today, the average cost of getting married in the U.S. is over $32,000! 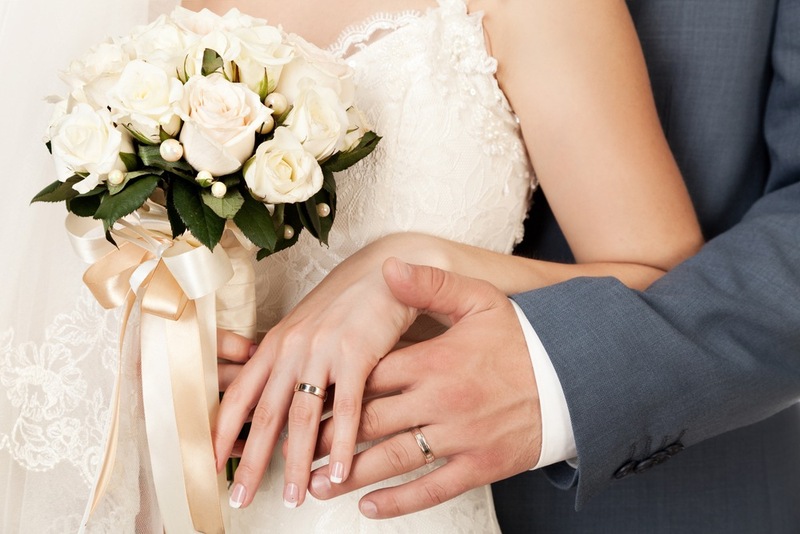 Because the bride’s and groom’s rings can be a substantial part of that eye-popping price tag, couples may choose to shop for cheap wedding rings. Luckily, if you’re thoughtful about how you buy, you can save money without actually sacrificing the beauty of your wedding bands. Here are some sharp ideas for how you can buy affordable wedding rings that are still so unique, eye-catching and romantic, it won’t look like you spared a dime. This one’s simple. Finding the right ring can take from two to six weeks on average. If you really want to find something special for a price that won’t break the bank, taking your time can make all the difference. By giving yourself maximum time to shop, you will both find the wedding ring style you love AND have the time to compare prices and experiment with budget-friendly variations of the same look. Leave a nice chunk of time to find an affordable ring before your proposal. That way you won’t find yourself on one knee with an IOU instead of the real deal. The best way to get a beautiful wedding ring at the right price is to set a reasonable budget for the purchase and stick to it. It sounds like a no-brainer, but it can be very easy to think you’ve found something perfect and “adjust” your budget accordingly. The truth is that no ring is “the one” if you have to go deep into debt to obtain it. If you just keep looking, you will likely find an even better one within your budget. Engagement rings are cheaper and wedding bands can cost up to 20% less when purchased from an online jeweler than from a traditional jewelry store. Online retailers have fewer overhead expenses, and they pass those savings onto you in the form of more affordable products. Online retailers will usually have considerably more styles to pick from, as well, since they don’t have to pay to stock inventory for viewing in those fancy cases, giving you options you may never have thought existed. It might be a bit harder to swing if you’re budgeting tightly for the wedding, but many engagement rings already have matching band designs for sale alongside them, and many retailers will offer a discounted price for buying a complete set all at once. Don’t hesitate to take advantage of wedding set pricing, and see if the store will offer a men’s band for an even higher discount, as well. When it comes to wedding band materials, everyone knows the classics. But gold and platinum are pricey, so you may want to consider more budget-friendly options. Titanium and tungsten are growing more popular by the day because they’re great-looking and more affordable. Both are also very strong and scratch-resistant, and titanium is also hypoallergenic. If you’re looking for a band that closely resembles platinum, check out Argentium silver or cobalt chrome. Argentium silver is a sterling silver alloy that includes traces of germanium to bolster its tarnish-resistance and durability, while cobalt chrome has a shimmering silver hue that has made it a formidable competitor to more traditional metals. These metals will also maintain their naturally silver tone without ever needing to be re-plated. As metalworking and jewelry technology improve, the options for these metals are increasing, and many alternative metals can even be used for custom ring designs, including titanium and cobalt. Remember what we said earlier about taking your time? The more time you give yourself to find your wedding ring at a low price, the more likely you will be able to shop at peak discount times for retailers. Everyone knows about Black Friday and Cyber Monday in November, but Christmas is engagement season, making most bridal jewelry sales on the flashy first step and not so much the nuptial bands. You should look out for discounts immediately after Christmas but before the New Year. This is when many retailers try to capture band purchases from newly engaged couples. Holiday sales throughout the year frequently feature slashed prices. Bookmark your favorite jewelry-shopping sites and mark your calendar for Valentine’s, President’s Day and Labor Day as well as the end of the year. 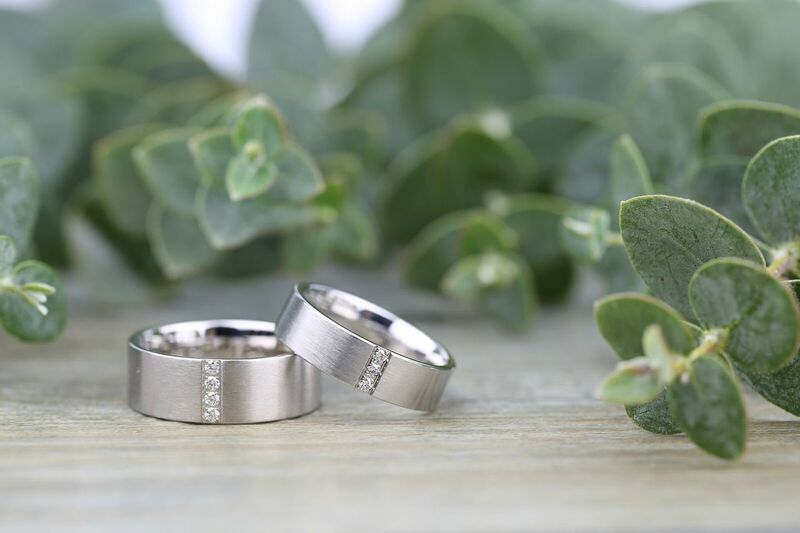 Finally, be sure to check in late spring and early summer for great wedding band prices, as this is just before wedding season. 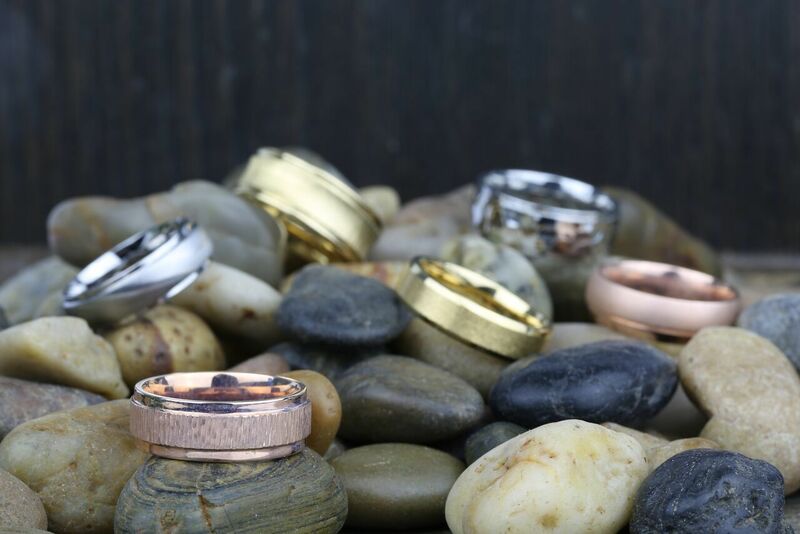 Alright, so you found the perfect wedding rings. Now all that you have to do is book a venue, find the caterer, hire the photographer, and figure out the guest list. No sweat, right? Just try to have fun with it, and remember these tips because they may be helpful when thinking about other wedding expenses, too.